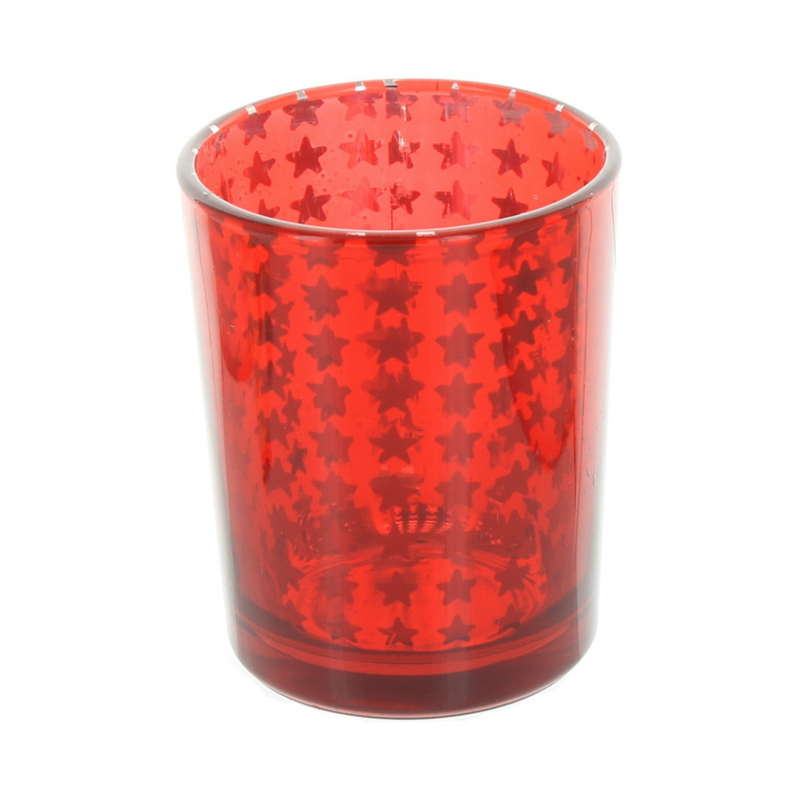 Stars Tea Light Holder - Red (h. 7cm, diam. at top 5cm). This lovely red glass candle holder has silver star designs on the inside, which really stand out as the flame shines through the glass. Perfect for use with all tea light candles for creating a festive atmosphere.